Our multiple cross-cut saws are used if one or both ends of the board must be cut off, precisely and cleanly, and the board is to be cut to defined multiple lengths. 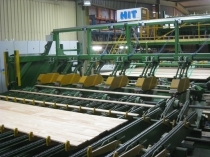 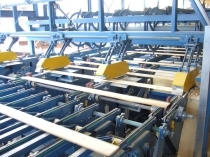 The resulting multiple lengths are conveyed further through the production line; and the offcuts resulting from cutting off the board ends are disposed of directly. 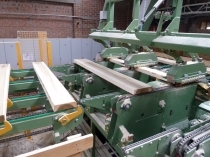 Depending on the requirements, the sawing units are manually or automatically adjustable so that the boards can be flexibly cut to different multiple lengths. 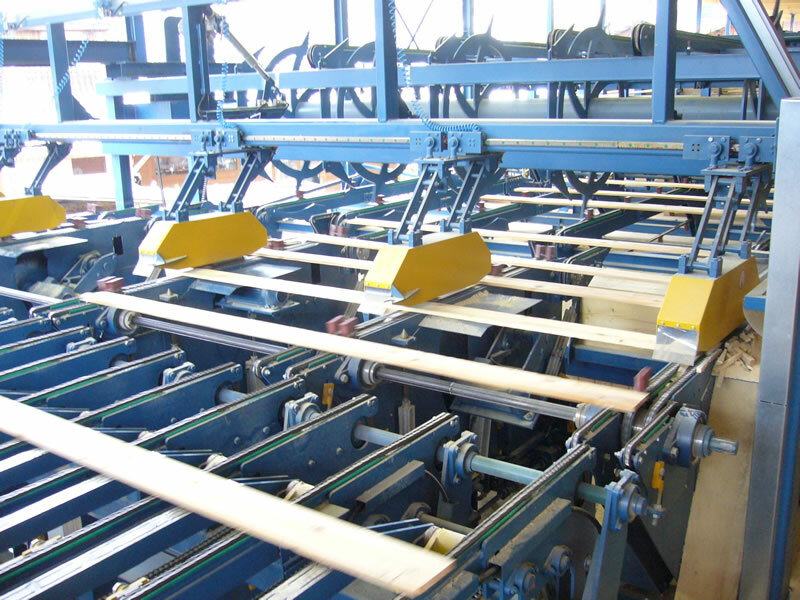 Our cross-cut saws can be designed as overhead or bottom-mounted units, with swiveling mechanism, and with an additional top pressure chain.